Webster Groves, MO, Orthodontist Answers: How Old is Too Old for Braces? When it comes to your oral health, our Webster Groves, MO, orthodontist wants you to know it’s never too late to take steps toward a healthier smile. Whether you’re 16 or 65, your teeth are vital to your overall health and need the proper attention to last throughout your lifetime. Early intervention is best, but many adults choose to live with misaligned teeth simply because they don’t want all that unsightly metal in their mouths. Fortunately, modern advancements in orthodontia mean you have options for correcting your teeth. Our Webster Groves orthodontist outlines discreet adult braces options below. The most popular discreet form of braces, according to our Webster Groves, MO, orthodontist, isn’t technically a type of braces at all – Invisalign clear aligners follow the same principle as braces, but their removable feature has put them into a class entirely their own. 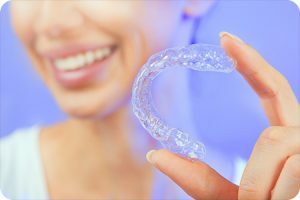 Our Webster Groves, MO, orthodontist is an experienced provider of Invisalign and has helped numerous patients improve the health and appearance of their smiles with this extraordinary alternative to braces. Want to Learn More? See Our Webster Groves, MO, Orthodontist! The above options for braces offer multiple benefits and are all effective ways to achieve a straight smile, no matter your age. Which type will work best for you will be determined by our Webster Groves orthodontist on a case-by-case basis. Contact our office today for more information or to schedule a consultation. The information provided in this article is not meant to be medical advice and is for educational purposes only. If you would like to learn more about this and other orthodontic-related topics, feel free to contact Borello Orthodontics, with a convenient orthodontic office location near Webster Groves, MO, by clicking here or by calling 314.821.2400.